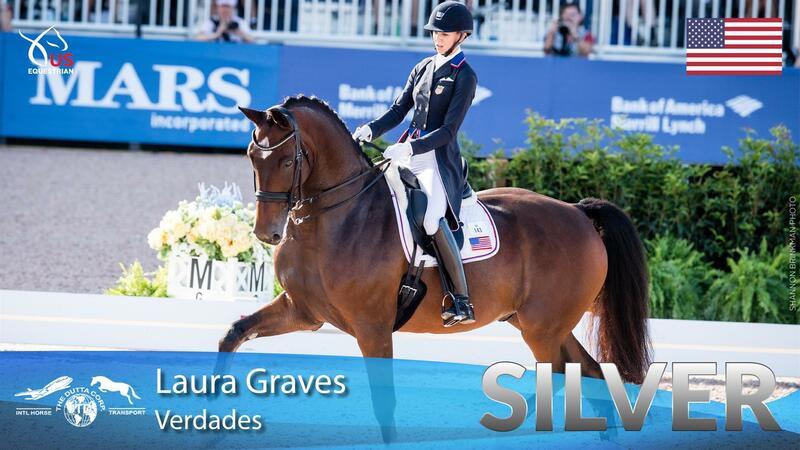 Mill Spring, N.C. - Laura Graves and Verdades have earned the individual silver medal for the Grand Prix Special at the FEI World Equestrian Games™ Tryon 2018. Isabell Werth and Bella Rose of Germany won individual gold and Charlotte Dujardin and Mount St John Freestyle of Great Britain received individual bronze. More news and photos to follow.